Butacort nasal spray is a generic version of Rhinocort. It is a hay fever and allergy nasal spray containing Budesonide. It works to prevent and treat the symptoms of seasonal, environmental allergens and hayfever. 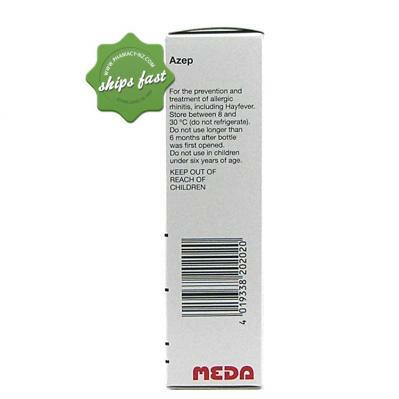 Specially formulated as a short term treatment of allergy symptoms associated with allergic conjunctivitis. 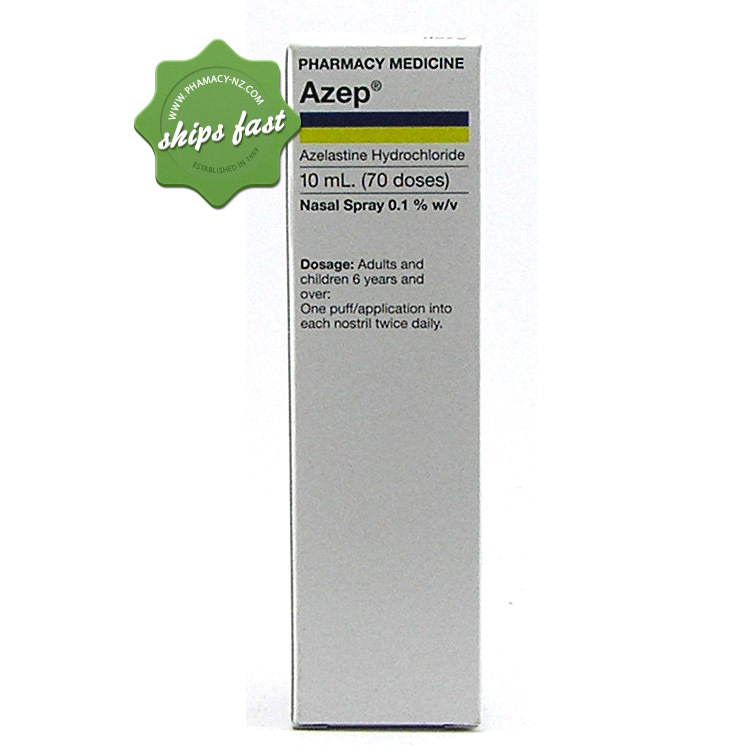 Buy Azep Nasal Spray (Astelin/Azelastin/Rhinolast/Astepro) with Azelastine. Hydrochloride. 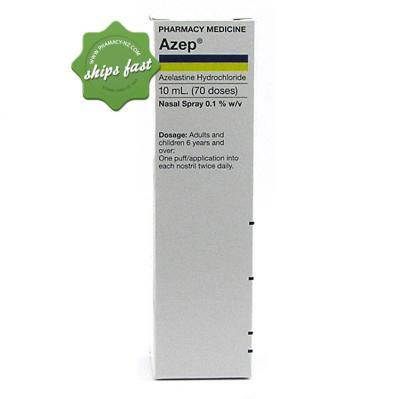 123456 Azep is a fast acting nasal spray that gives you relief from hay fever and allergy symptoms in 15-20 minutes. This Pharmacy Only Medicine is Available without prescription from New Zealand Pharmacies. We offer WORLDWIDE SHIPPING on this product. 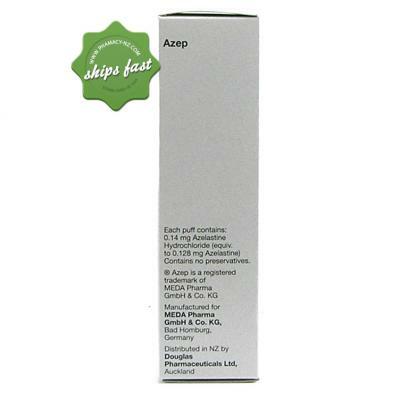 Azep is a generic version of Astelin, azelastin, rhinolast, astepro (it contains the same main ingredients as these brand names). Treat the symptoms like itchy eyes, runny nose, sneezing, water and red eyes or take as a preventative measure before being exposed to allergens. How Does Azelastine Hydrochloride Work? It contains an antihistamine which Help to stop the bodies natural histamine production which causes allergic reactions and an anti inflammatory to Help reduce swelling and redness in the nasal passage. Other brands with this main ingredient? One puff into each nostril twice a day. It should take around 15-20 minutes to feel some relief which should last up to 12 hours. Each bottle contains 70 doses (35 Days). Can I take this nasal spray with antihistamine tablets? Yes just be sure not to go over the recommended daily dosage on the active ingredients. Although azep is non drowsy, some people may experience drowsiness - if you experience this side effect do not operate heavy machinery or drive a vehicle. Bitter taste, headache, somnolence, nasal burning and rhinitis are the most commonly reported adverse events. However, in large patient studies, the discontinuation rates (2.2%) due to adverse events while taking AZEP Nasal Spray were not significantly different than those for placebo (2.8%). Other adverse events that occurred in seasonal allergic rhinitis patients 5 to 11 years of age treated with AZEP Nasal Spray and that were not similarly represented in the adult population include rhinitis/cold symptoms, Cough, and conjunctivitis. You are taking sedatives, tranquiliser, antidepressants. Add this product to your cart today WORLDWIDE SHIPPING.